The game was played in Moldova between FC Sheriff Tiraspol and FC Olimpia Balti. When the Olimpia goalkeeper saved the penalty in the 28th minute I bet that he thought that this is his day….but he was wrong…. Trilogies are awesome, namely, three times as awesome as regular movies. Why? Well, you get three times as much story, three times as much action, three times as many characters, and you get to continue following a storyline for three times as long as normal! But what are the best trilogies to watch? Well, here are three sets that I think you should definitely watch. 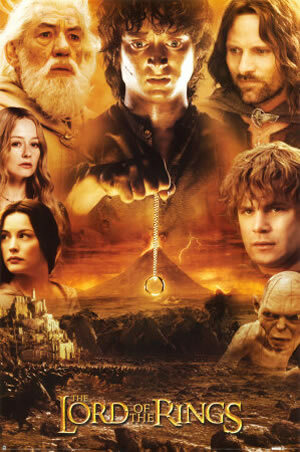 The lord of the Rings trilogy is awesome on many levels. You really get everything with these movies. An all star cast, an epic plot, state of the art visual effects, loads of action, romance, mystery, intensity – everything that could make a trilogy great is in this movie. And because the trilogy was all filmed at once, the stories remain very closely knit and the cast stays very current, making it perhaps one of the most sought after trilogies of all time.